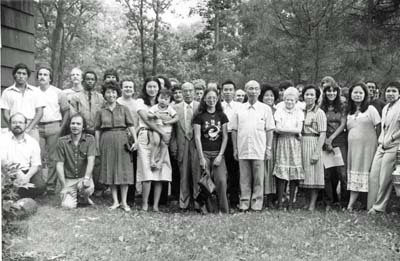 This is Grandmaster's Master of the Dao, Master Huang, 7th from left in the first row. He is with his Grand Master of Dao on his right next to the woman holding the child. Far right is Grandmaster's wife Fulin holding their oldest child. The rest are Grandmaster's students and followers of the Dao. Early 80's.